UN Women in Tanzania is implementing its Strategic Note (2017-2021), under which one of the priority areas is women’s leadership and political participation. The Women’s Leadership and Political Participation Project (Wanawake Wanaweza) Phase II (2017-2021) builds on Phase I (2014 – 2017) and continues to promote gender equality and the empowerment of women as per UN Women’s global mandate and supports the Government of Tanzania as a Member State to the United Nations to implement international standards, providing suitable technical and financial assistance. The second phase of the project aims at achieving the overarching goal/impact “Women lead and participate in decision-making at all levels” building on the momentum created and gains made from the first phase. 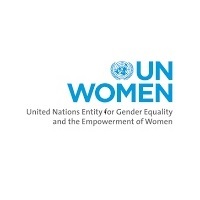 The project is in line with the UNDAP II outcome “Women and girls increasingly participate in political and public life and are elected to leadership position”, the UN Women Tanzania, Country Strategic Framework 2017 – 2021; the UN Women Global Flagship Programme Initiative on Women’s Political Empowerment and Leadership, as well as, national gender policy, the SDGs, CEDAW and other international and regional commitments.